Water bottles are one of the most important items you should bring with you while you're riding. You won't get too far riding dehydrated so make sure you bring one or two water bottles with you. 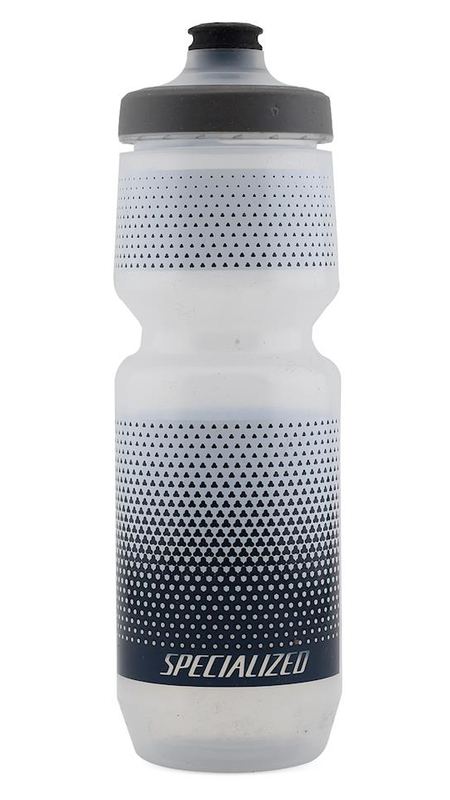 The Specialized Purist WaterGate 26oz Bottle has an amorphous silicon dioxide coating that helps prevent the bottle from getting stained by drink mixes and helps prevent that nasty aftertaste. This Purist features a WaterGate Cap that has s self-sealing Heart Valve that delivers a high rate of water and is also leak-proof, even when the valve is open. The bottle is made from an easy-to-squeeze LDPE material that is BPA-free and is 100% FDA food-grade. 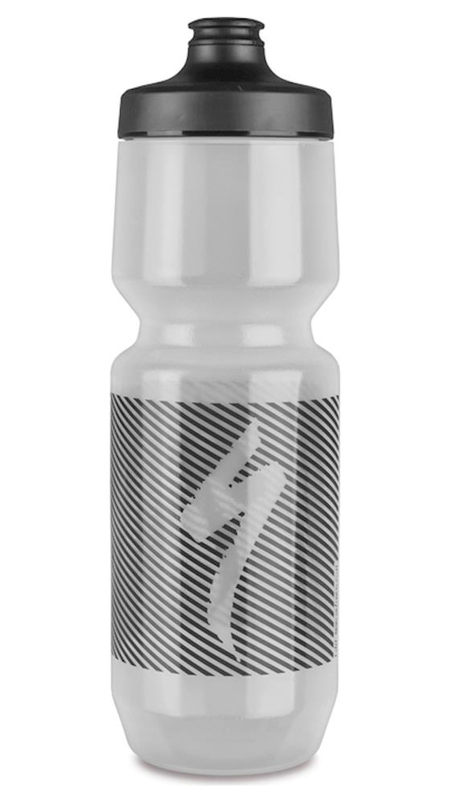 If you're looking for a water bottle with the purest taste, then you'll love the Specialized Purist WaterGate 26oz Bottle.